With the computing world currently chomping at the bit to get its hands on AMD's highly anticipated Ryzen chipset, Nvidia has come out swinging with the GTX 1080 Ti, it's new flasgship GPU. 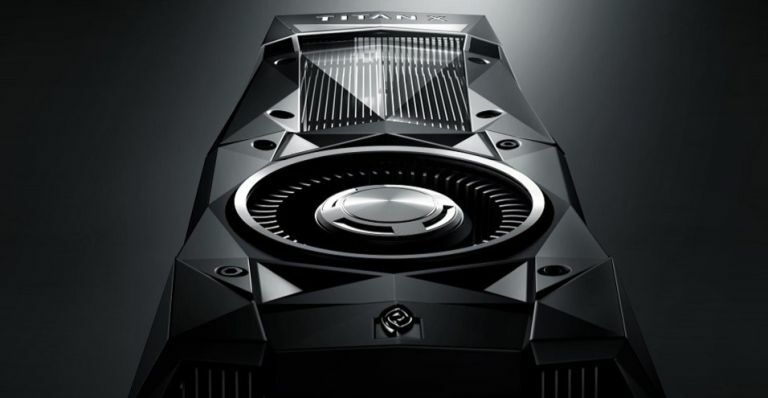 Based on the NVIDIA Pascal architecture, it delivers up to 35 percent faster performance than the GeForce GTX 1080 and up to 78 percent faster performance than the GTX 1070 – Its even fast than the TITAN X! The GTX 1080 Ti offers serious features for serious performance, including 3,584 Nvidia Cuda cores and a massive 11GB frame buffer running at an unheard of 11Gbps. The GTX 1080 Ti is also the world’s first GPU to feature Micron’s next-gen G5X memory and 12 billion transistors that deliver a dramatic increase in performance and efficiency over previous-generation GPUs. Currently priced at $699 (no official UK price yet), the GTX 1080 Ti will be available later this year. After much too-and-froing, Microsoft has finally unveiled the latest attempt to get its digital focused dream for Xbox One off the ground - Xbox Game Pass. Think of it like a Netflix or Amazon Prime for games - you pay a $10 fee (no word on a UK price but a £9.99 figure doesn't seem far fetched to us) and you'll get access to a raft of Xbox One and Xbox 360 titles. Over 100 games have been announced so far, including Halo 5: Guardians, NBA 2K16 and Payday 2, with Microsoft confirming more games will be added (and others removed) in regular updates (much like a regular streaming service). Unlike the streaming-focused PlayStation Now service, Xbox Games Pass will require you to download the game to your hard drive instead. These games will remain on your HDD until the game is removed from the library or you end your subscription (although you'll keep your save files should you resub or buy it properly). Xbox Game Pass has already started rolling out to select members of the Xbox Insider program, with a plan to release exclusively to Xbox Live Gold members then the entire Xbox community by the Spring. If you love The Beatles and you've really got a thing for collecting those fortnightly magazine and gift collections, then this next piece of news will send you into a modern fit of Beatles-Mania. Publisher De Agostini is preparing to launch a 23-part series that will see a comprehensive archive of Beatles music re-released on 180g vinyl. The series will repackage each vinyl in a reproduction of a given album's artwork as well as a glossy magazine written by Beatles historian and radio producer Kevin Howlett, explaining the history and significance of each release. The collection - which includes single, double and triple-albums - will incorporate all of the classic Beatles albums as well as the triple-vinyl The Beatles Anthology and two Live at the BBC Sessions. Issue one (out now) will be priced at £9.99 for a limited time only, with subsequent single album copies retailing at £16.99; double and triple albums will sell for £24.99. Issues are available fortnightly in shops, with subscribers receiving two issues in one delivery every four weeks. Subscriptions can be purchased online at www.deagostini.co.uk/beatlesvinyl.